Allocation : 2 Pumps, 1 ALP, 1 Major Incident Support Unit. Daf LF PN16BVM was seen on Winter HIll, 21 July 2018. 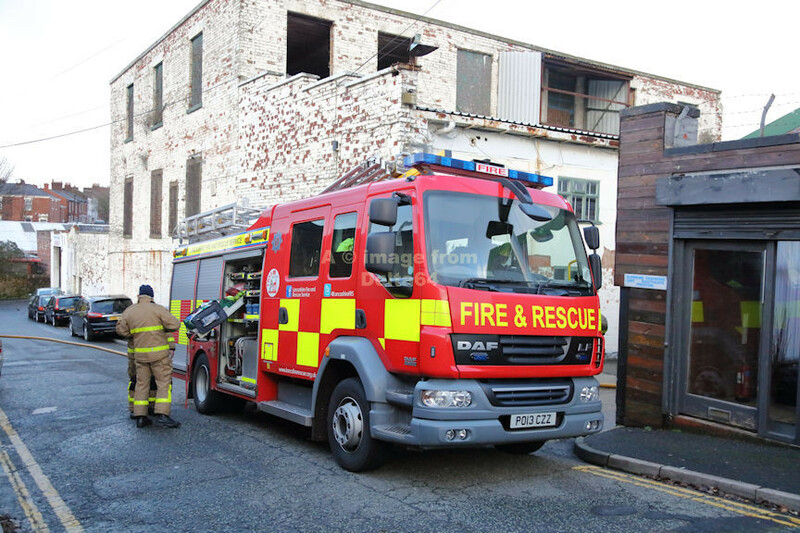 Daf LF PO13CZZ was seen in the City Centre following a 12 pump fire, 22 December 2018. 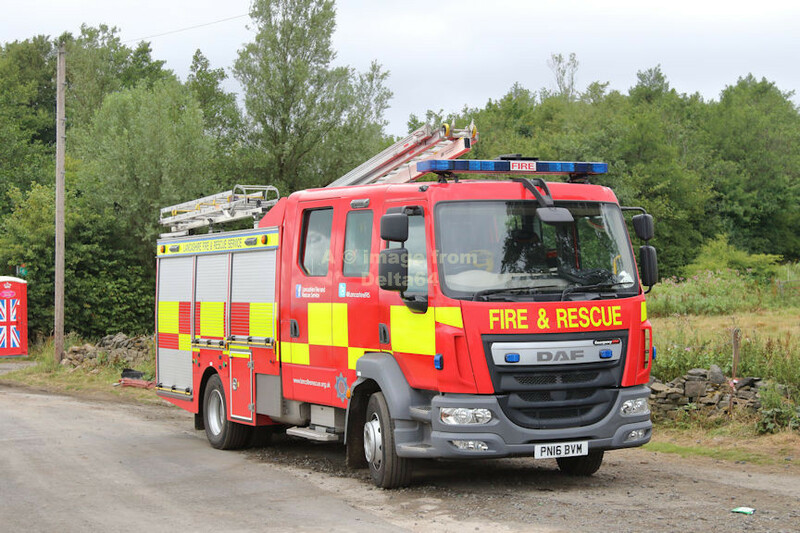 Volvo ALP PN04VAX was seen at a large fire in Blackburn, 3 April 2019. 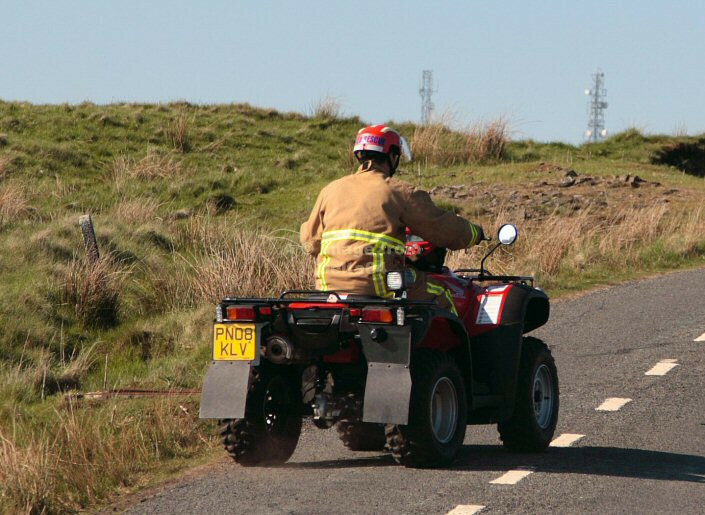 Quad Bike PN08KLV was seen heading to the top of Winter Hill, 23 May 2010. 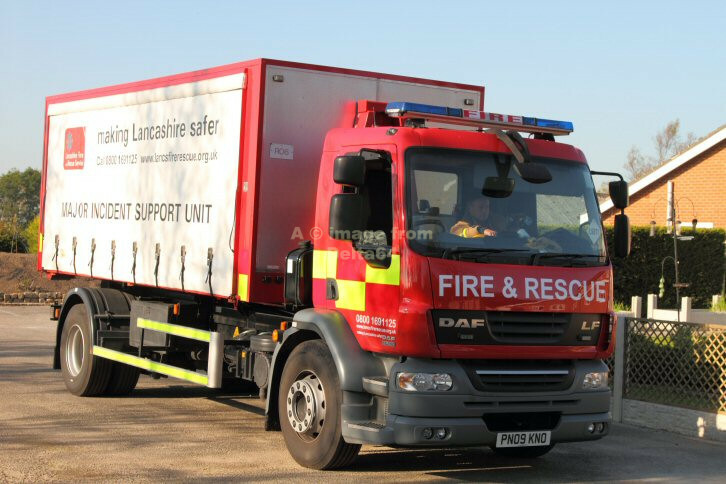 Prime Mover PN09KNO with the Major Incident Support Unit was seen at Burscough, 12 October 2010. Modified to include a 3rd axle, Prme Mover PN09KNO was seen with the MISU pod at Ulnes Walton, 30 December 2015. 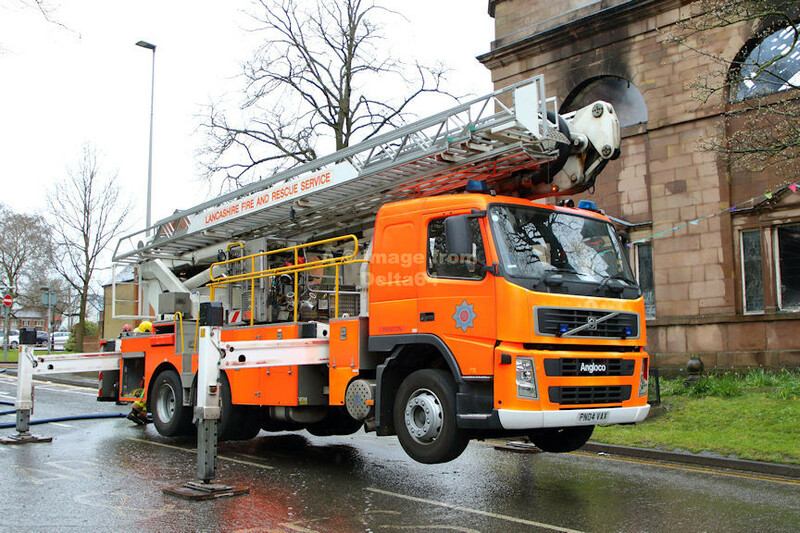 Daf LF Primove Mover PN09KNM was seen at a major fire in Preston, 10 April 2015. Prime Mover PN09KNO again with the BA POD at a major fire in Blackpool, 5 June 2014.